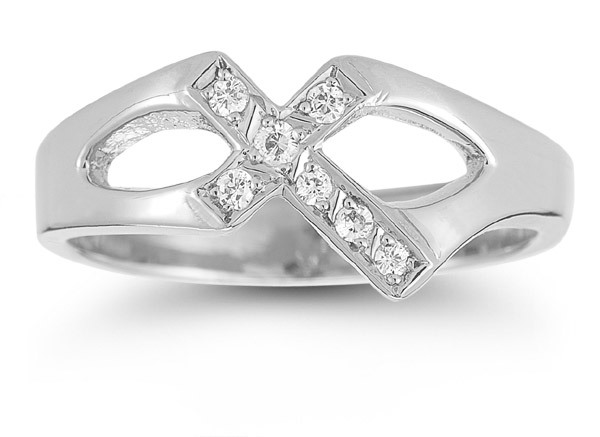 The beauty of sterling silver is brought to you by Apples of Gold in this expertly designed ring. The piece brings the bright white brilliance of sterling silver and gives it the perfect place to shine. A gorgeous Christian cross takes center stage and features clean lines. A touch of radiant shimmer is found in the white topaz gemstones that adorn the cross. Two open cut accents rest on either side of the cross to keep this piece visually appealing at all angles. We guarantee our Christian Cross Sterling Silver White Topaz Ring to be high quality, authentic jewelry, as described above.